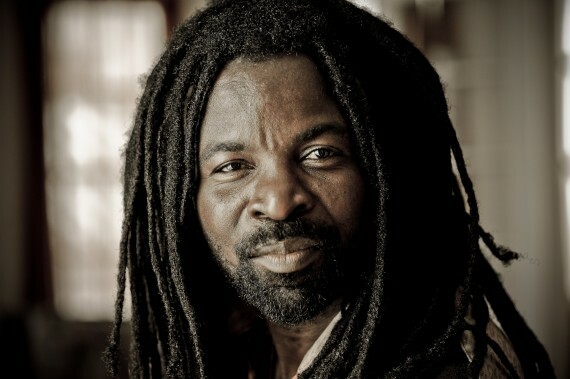 International music star and humanitarian activist Rocky Dawuni straddles the musical boundaries between Africa, the Caribbean and the U.S. to create an appealing “Afro-Roots” sound that unites generations and cultures. Filled with uplifting and irresistible songs, Rocky’s sixth album, and first on Cumbancha, blends inspirations from his diverse experiences while expanding on his identity as an artist, a proud son of Africa and as a true world citizen. Cumbancha will release Branches of the Same Tree worldwide on March 31st, 2015. 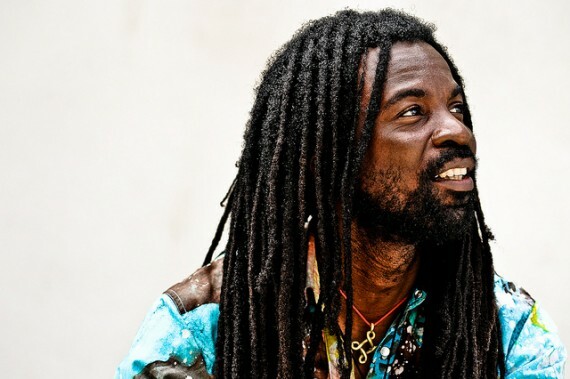 Inspired by the soulful beats of Afrobeat legend Fela Kuti, the positive messages and deep grooves of Bob Marley and the infectious, sing- along anthems of Michael Franti, K’naan and Matisyahu, Rocky Dawuni’s songs blend elements of reggae, Afrobeat and global pop into an enticing new sound. The songs on Branches of the Same Tree also reflect influences of New Orleans funk, Brazilian samba, even the lilting sounds of Hawaiian ukulele, seamlessly integrated into a unique and approachable style. 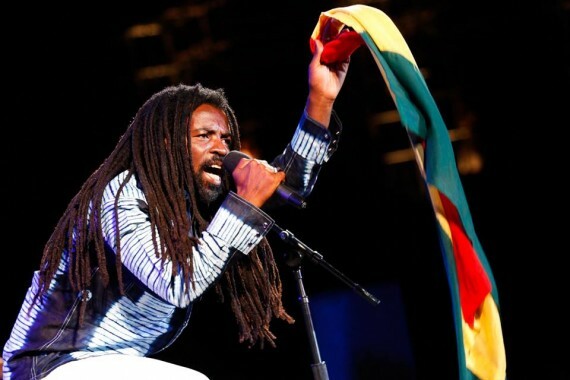 The album features appearances by an all-star lineup of guest musicians, including veterans from Michael Franti and Spearhead, Steel Pulse, Ben Harper and The Innocent Criminals and Ziggy Marley. Already a superstar in West Africa with a devoted international fan base, Branches of the Same Tree promises to bring Rocky’s music to even wider audiences around the world. The album’s first single, “African Thriller” was released on July 24, 2014, followed by the launch of a music video on November 4 . Recorded in Ghana and Los Angeles, the song features legendary trumpeter Osei Tutu (Hedzole, Edikanfo, Ebo Taylor), CC Frank on drums (Fela Kuti) and Dean Gant (Anita Baker, Outkast) on keyboards. Jeremy Sole, a DJ, producer and host on the taste-defining Los Angeles radio station KCRW, remixed the single and album versions of “African Thriller.” The video has been featured on hundreds of global outlets including Entertainment Weekly, MTV, Channel O and VH1 and continues to gain momentum worldwide. The Bob Marley influence is also apparent on Rocky’s cover of the iconic Marley and Peter Tosh composition “Get Up, Stand Up.” Rocky gives his version an Afrobeat touch and sings the lyrics in the Pidgin English vernacular of Ghana. Rocky’s commitment to political activism and cultural pride is further demonstrated on the powerful song “Black Star,” which features a guest appearance by Samini, a rising star in Ghana. 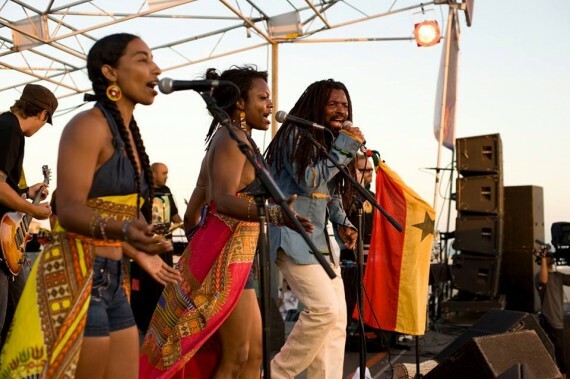 “Black Star” celebrates Africa, calling for a new vision from the modern generation of Africans. Meanwhile, “We Never Stop” is “a track to put everyone on notice that roots rockers are back! 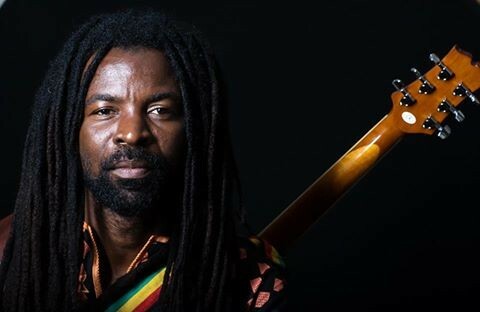 We love to play music and the feeling of positivity and togetherness that it brings.” Reflecting his maturity as an artist, Branches of the Same Tree highlights Dawuni’s ability to communicate a universal, uplifting message that crosses borders and reaches out to the hearts of millions.